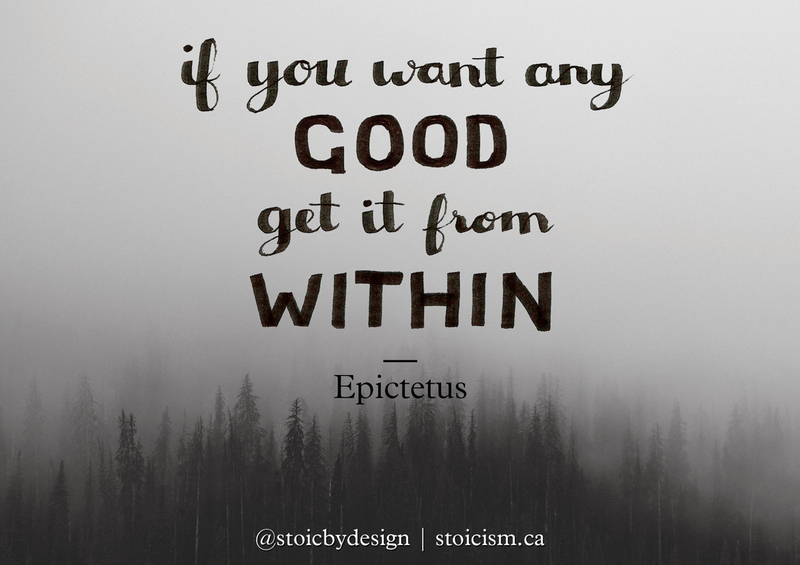 Epictetus reminds us that, like most things of virtue, good can only come from within. I take this to mean if we rely on the actions of others to bring “good” into our lives than we may be disappointed; we are not in control of their thoughts or actions. Without getting too topical, considering yesterday’s attacks in Paris, I find this especially encouraging. Naturally we feel grief and dismay at terrible events that happen all over the world. There are people doing bad things constantly. If this upsets you I encourage you to not dwell on the anger you may feel, but instead focus on the good that you can find within to share with the world. More good put out into the world will not necessarily end all evil, but the net effect can weight heavier for good. I’d love to hear your thoughts on the quote or my interpretation; does this quote carry any power for you? Excellent! Thanks for sharing that quote.